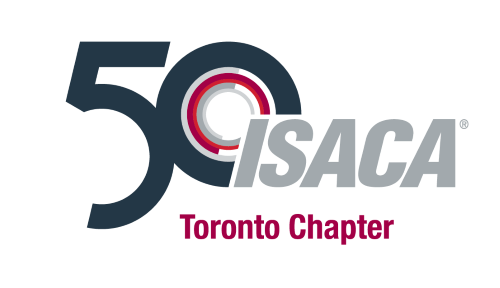 The ISACA Toronto Chapter, with 2800 plus members, is the largest chapter in Canada and the 5th largest in the world. As of 2017, it will have existed in the Toronto information systems audit, control and governance community for 40 years, and is one of the most active ISACA chapters serving IT Governance, Risk, Audit, and Security professionals. The aim of the Chapter is to sponsor local educational seminars and workshops, conducts regular chapter meetings, and help to further promote and elevate the visibility of the IS audit, control and security profession throughout the Greater Toronto Area. ISACA (previously the Information Systems Audit and Control Association) is a worldwide association of IS governance professionals. The association currently focuses on assurance, security, and governance and provides globally recognized certification in assurance (Certified Information Systems Auditor), security (Certified Information Security Manager), and governance (Certified in the Governance of Enterprise IT). The ISACA Toronto Chapter mission is to support the professional development of our members and enhance the benefits of IT governance, control and security in the business community. Our member's experience with the ISACA Toronto Chapter will provide professional development, individual value in the business community and a sense of belonging to a professional organization. We are committed to increase the awareness of ISACA and enhancing the understanding of the benefits of IT governance, control and security in the business community.